Yet another short notice sneak peak for the next London Rum Club and if the last tasting I attended for Ron Diplomático is anything to go, by this should be another great rum club not to be missed. Starting at 7pm on Monday 3rd October 2011, Trailer Happiness will, as always, be playing host to the Notting Hill Rum Club. Ron Diplomático Blanco – A Super Premium White rum; Ron Diplomático Añejo – Aged up to 4 years old, blended column and pot still golden rum; Ron Diplomático Reserva – Aged up to 8 years old, blend of column and pot still rum and lastly Ron Diplomático Reserva Exclusiva – A premium sipping rum aged up to 12 years old and made entirely from sugar cane honey. 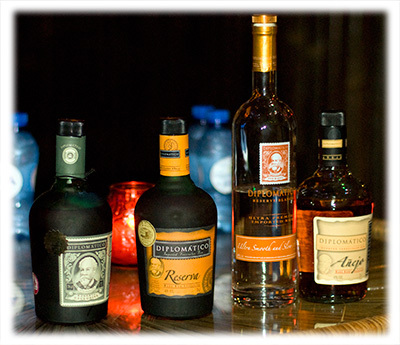 Further details on tomorrow’s tasting can be found on the Diplomatico Rum Club Facebook page. For those interested in learning more about the London Rum Club, please either visit the Rum Club website or pop into Trailer Happiness and speak to the bar staff.